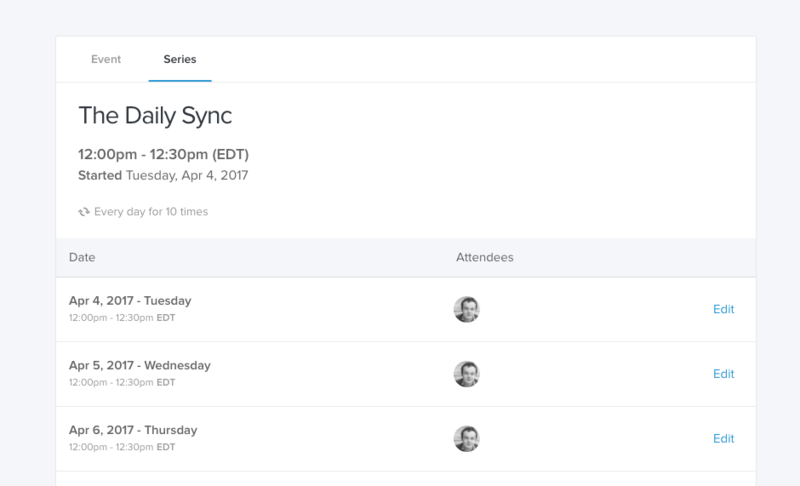 While one of the most requested features we get, recurring events are also responsible for about 60% of meetings in the average organization and are the most likely candidate for abandoned meetings. This is nobody’s fault in particular (vacations happen, so meetings don’t) but does make introducing recurring events correctly super important to keeping your office from a slow descent into “set it and forget it” madness. We’re starting with a slow roll out for organizations with Google calendars, and using this feedback to make sure we get this feature right. Recurring events will show a new tab for the entire series. This page shows all of the individual event instances. From this page you can manage single instances or the entire series at once. 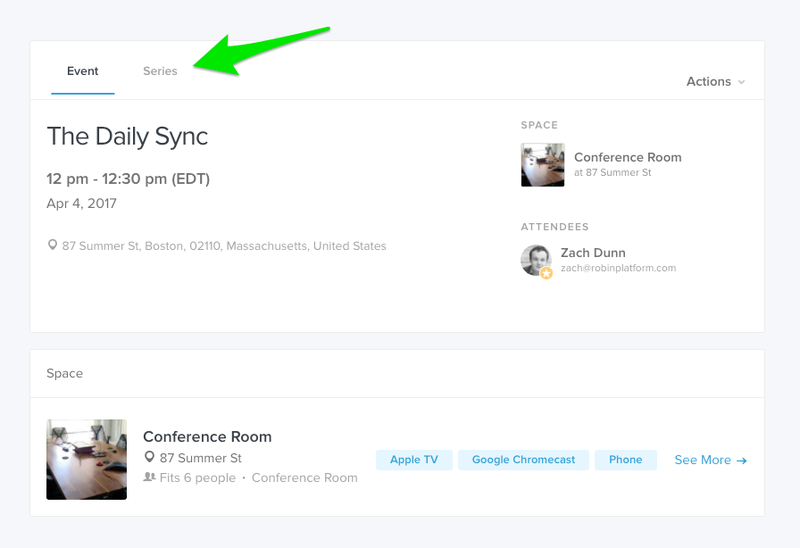 Recurring events in schedules include a handy indicator you can hover over for details. Over the next few weeks, organizations with Google calendars will start to see this feature enabled for their accounts. 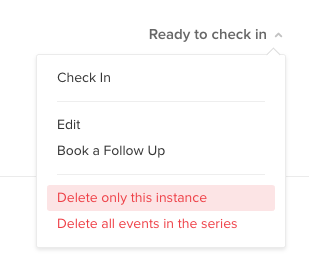 If you have recurring events disabled, no need to to worry — nothing will change for your account unless you enable it. If you’d like it sooner, or just think patience is for people without priorities, get in touch and we can activate the feature for your account sooner. There are still a few things we’re working on to make sure recurring events go smoothly. One of these upcoming changes is support for recurring events within the space search, which will automatically detect conflicts and prevent. Think “Find me a space for the next 10 Mondays at 10AM”. While not part of this original release, it will give you a better view of which events need rescheduling before you book. We’ll share more as we get closer to the search update’s release. Support for Microsoft calendars (e.g. Exchange and Office 365) is planned later this year. The beta version will continue to work for Microsoft organizations in the meantime.